Adam and Stacy Magana, pastors of Active Church in San Luis Obispo, CA, experienced one of their greatest seasons on loss in 2014. Life was good, and Stacy had just found out that she was pregnant with their second child. 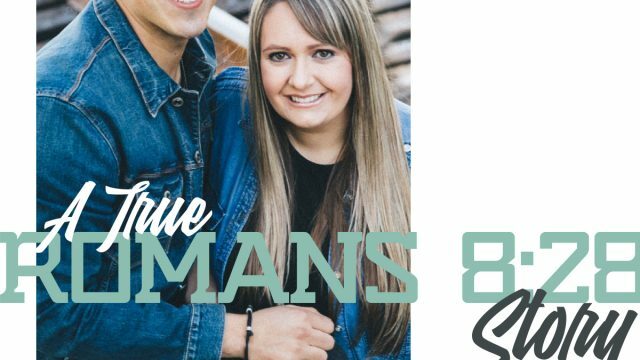 They were the director of small groups for both youth and young adults at a large church in Las Vegas. Everything was fine. Then at about six months into her pregnancy, Stacy went into pre-term labor on Father’s Day weekend. A few days later, she ended up giving birth to their son Adam, who was stillborn. It was a dark time for them. They were grieving and not too sure what life looked like from there. “It was the saddest moment in our life. We were grieving. It was terrible. We now have this son in heaven, and we had decided to scatter his ashes,” Adam said. “I asked Stacy what she wanted to do, and she knew right away where she wanted to go. It’s called Montana de Oro on the coast of California, and we felt like we should scatter our baby’s ashes there at the same spot we got engaged,” said Adam. It was at a high point, a mountain overlooking the ocean, close to the city of San Luis Obispo, CA. It was in that moment when Adam felt that one day they would be back there. “We prayed and gave him back to God. We came off the hill, and it was then, I told Stacy ‘this is giving me hope…I feel like we are going to live here one day.’ We didn’t know what that meant at the time,” said Adam. They spent some time in San Luis Obispo, and while they were there, they began to talk to people about church. They noticed that many didn’t have a church home, and although planting a church wasn’t on their radar, it’s like something was stirring, without them even knowing. They returned to Las Vegas and got back to ministry and reality set in. Not really knowing what to do, they kept serving where they were. “We were just grieving. We went back to ministry, overseeing groups. We were taking kids to camp. Jumping back in. About 4 or 5 months later, I couldn’t kick the feeling,” said Adam. Adam mentioned what was in his heart about planting a church to a friend for the first time. 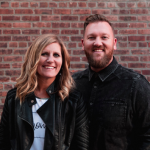 He hadn’t said anything to anyone yet, and after a few major God moments, they both felt that God was aligning things for them and confirming their desire to plant a church in San Luis Obispo, California. They reached out to a friend, Joe Pena, Pastor of Relentless Church in Las Vegas who launched with the ARC. He introduced Adam to Dan Ohlerking, director of ARC Meet-Ups. “Dan listened to me rant for like an hour and didn’t say much…he was awesome. He told us to come to the ARC Conference in Anaheim. We went, and we were like what is this…it’s like an Amway convention (laugh). I was like, why is everyone so excited about ARC? Then I realized, it was because ARC is like family. We were witnessing a family reunion,” Adam said. Adam and Stacy talked about what stood out to them and realized they had written the exact same comment in one of the sessions that stuck with them regarding the next steps. They signed up for a 6-month training program at a large church and registered for an upcoming ARC Intensive at Bayside Community Church. “We bought the plane tickets and were headed to the training. We didn’t know that there was a process first…we accidentally slipped through the cracks, but it was totally God,” said Stacy. “We were there with 50 other couples. We saw all these cool couples, and we were like, what are we doing here? We were soaking up the days of training and were invited to an amazing dinner with all these people. I ran into Pastor Randy Bezet outside the bathroom of all places, and he was like ‘what’s up man…tell me your story’ at which I shared how we had gotten there and that we were supposed to be going to a church for training before we launched. He then asked, ‘Adam does your wife love ya?’ I said, ‘yes,’ and he continued and asked, ‘no, does she love ya, love ya?’ and I said, ‘yes.’ He continued and said, ‘Why don’t you come out here with us? My mentor Greg Surratt did this for me, and I would like to do that for you,’” said Adam. It was a life-changing decision. Adam and Stacy sold their house in June and moved to Florida. They were there for six months, then moved to California in January 2017. It was just them and one other couple that started building the launch team for Active Church. At about eight weeks out from launch they had 90 people and a lot of momentum. The only problem was, they didn’t have a location. Real estate was high, there was nothing available, and schools were saying no. “We had a great launch team, momentum, and people were hearing about us, and we had just hit our 1-week mark of needing to have our mailer sent out, yet we didn’t have a building. I was in the parking lot of a school, and in tears crying out to God. I prayed ‘God this is your church. I can’t do this. This is your church, and you need to take care of your church. Please step in,’” said Adam. They were calling everyone they had talked to about a building and then he called the owner of the Fremont Theatre in downtown San Luis Obispo that they had initially called months ago. “I saw the Fremont Theatre that day and pointed to it and told Stacy, ‘We are going to do church there and a bunch of people are going to get saved,’” Adam said. But the theatre was in a lawsuit, hence the reason they were looking at all other options. The pressure of a location was building. “It was like this game of maybe we will get the theatre or maybe we won’t. I just gave this back to God so when I called the owner again, I said, ‘is there any way we can talk about renting your facility as we are really close to our launch,’ and he replied, ‘funny that you say that, we were just talking about you and we would love to rent to you,’” said Adam. They weren’t in the clear just yet. It took another 3-4 weeks to get the paperwork. They were in the last hour to get their mailers complete and had to have that lease signed. Adam approved the mailers, and within a few hours of that, he got the signed lease. They were four weeks from launch and finally had a location. They launched on September 17, 2017, with over 400 people, but more importantly, with 29 decisions for Christ. Over the last ten months, they have reached 300 decisions for Christ. 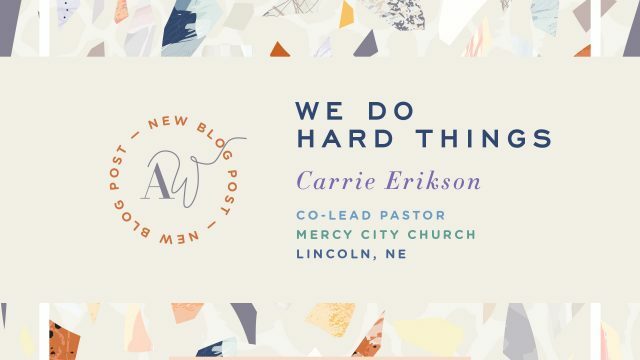 Adam says that being connected to ARC and having the support of other pastors is what helped them accomplish what God called them to do. “If you are going to be a part of a tribe, be a part of a tribe that gets it. Guys who have been in your shoes and want to see you do well. They want you to do better; they want you to get better. It’s not comparison or a competition. It’s where we find our strength; where we share our real struggles, be honest about what you are going through, and encouraging each other when you are down. You can’t get that anywhere else. I don’t know any other group of guys that have access to that other than ARC,” said Adam. 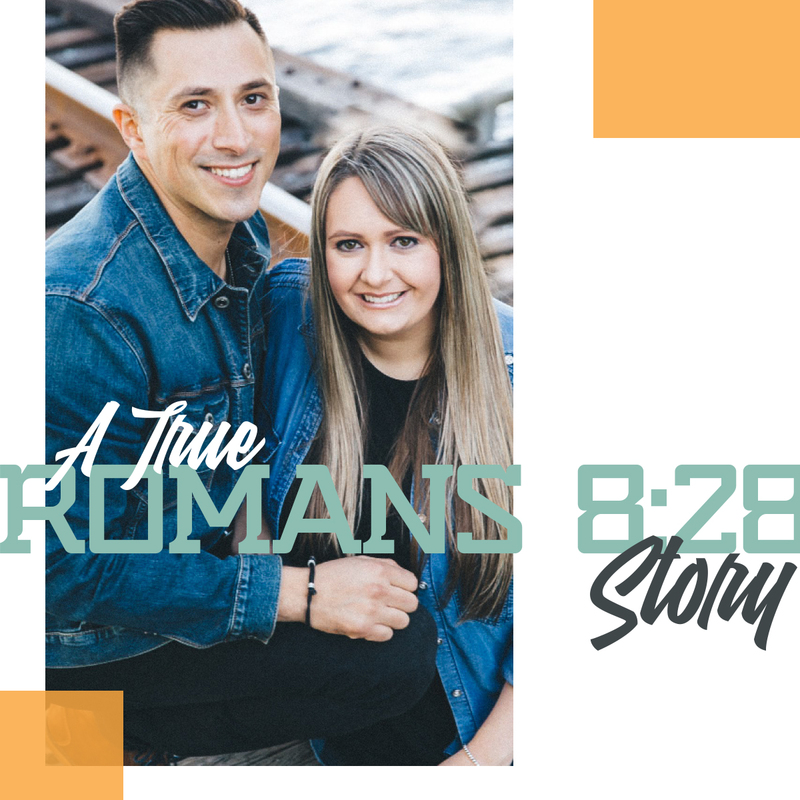 For Adam and Stacy, they believe that the story of Active Church started that heart-wrenching, yet hopeful day on the mountaintop.